Learn How to Start a Blog That Can Make You $1,000 Minimum a Month, Without All the Hassles + Stresses of Figuring Out Your Blog Alone. 8 self-paced, thorough video modules breaking down each step of creating your blogging business. Multiple PDF guides & worksheets to use during the course and on as you develop your blog. My personal feedback, assistance & time. A Facebook Community Group, to connect with other bloggers throughout your journey. ALL for the amazing value of $299 >> $199! 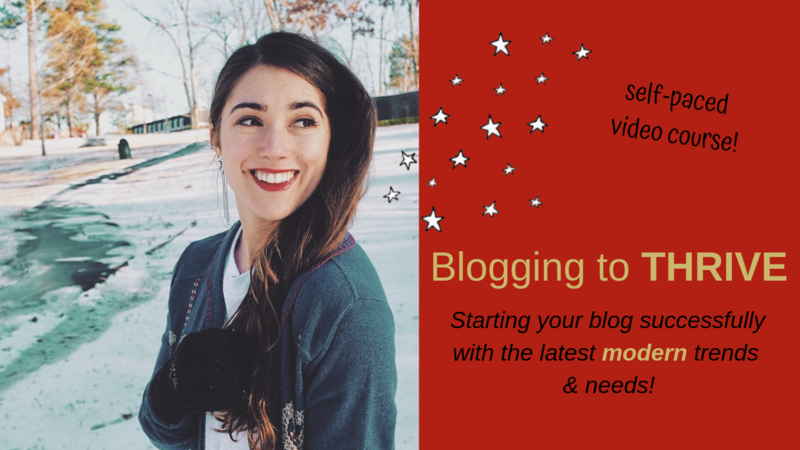 Save yourself 1 year+ in the blogger's learning curve with this fun, interactive, value-packed course! I truly wish a course like this had been available when I started blogging. BUT, I am so thrilled to offer you what I did not have, so you can succeed even quicker, and go after the life you've always dreamed. My refund policy can be found here. Please read carefully, and agree to the terms.